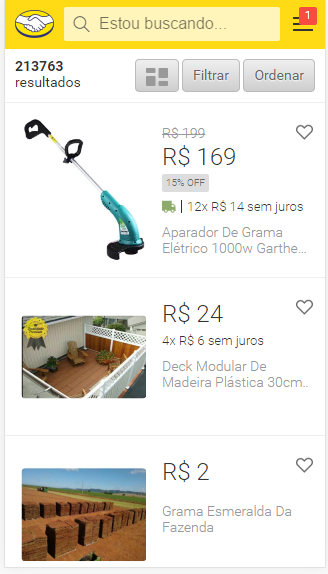 In a list of products one underneath the other, showing them in cards is the better solution? "Cards are better suited when users browse for information than when they search." Cards display content composed of different elements whose size or supported actions vary. In the exemples you provided, cards seems to have only two actions, an implicit one (Taping on it = go the item page) and an explicit one "Add to wishlist". It looks like your asking if you should use a mosaic view (or grid view) or a list view (1 line = 1 item). Are pictures more important than information ? You wont buy a t-shirt in the same way as you buy an external storage disk, you need to emphase the picture for the first one, you need to emphase the product description for the second one. For the first case, mosaic view or even a full width image view is the best approach, if text informations are more important, use a list view. Do you need to preserve the size ratio of each item picture ? Mosaic view with a masonry system will be the best. Do you need to show a lot of items above the fold ? Mosaic view will sole this problematic. Whatever your choice is, the whole UI Feeling of the type of list you use will be really relative to the harmony of your item pictures. 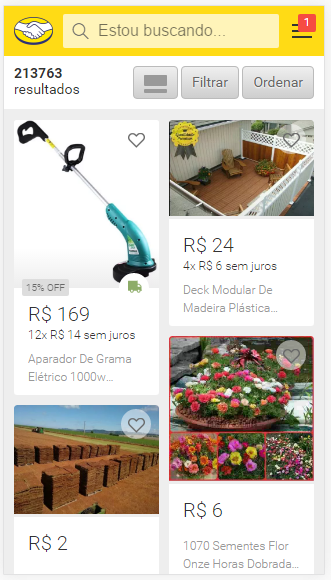 If your designing a generalist e-commerce app, I strongly suggest you to let the user manually choose between grid, full width or list view. This way you'll cover all the cases. Cards work well with the notion of depth that Google introduced. If only this part of your app use cards and shadows then you should avoid cards and keep a simple list or blocks view. Indeed both the lines and the cards have advantages and could be used whenever people search for a specific thing or simply browse into a category. However, if you want to go with only one option, than I'd recommend you to go with the first one: dividing the products with lines. From a usability and design point of view you will simply have more design space in the line separation. You won't have to squeeze more icons or text about each product, you can have shipment and so on. One more thing you should consider is pagination for the search vs browse. Not the answer you're looking for? Browse other questions tagged lists e-commerce cards multiple-products or ask your own question. 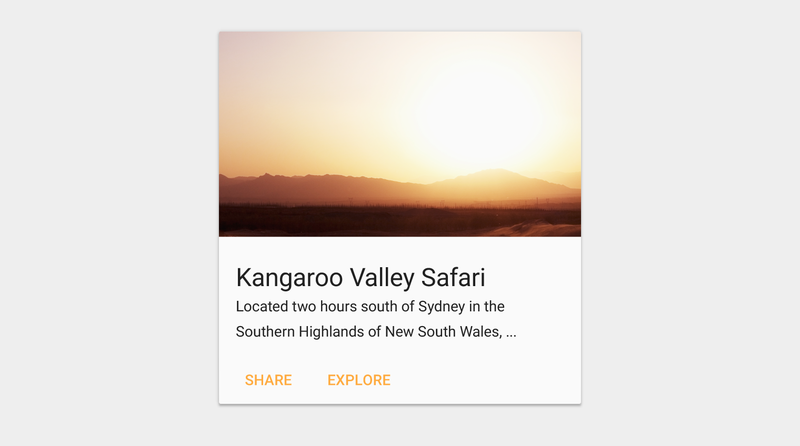 Material Design: list items or cards to display a large collection of elements? Adding comments to a list of items, is there an elegant solution? Should I show a list of products if there is only one product? How to display international products in ecommerce? Too many cards in one list possible?